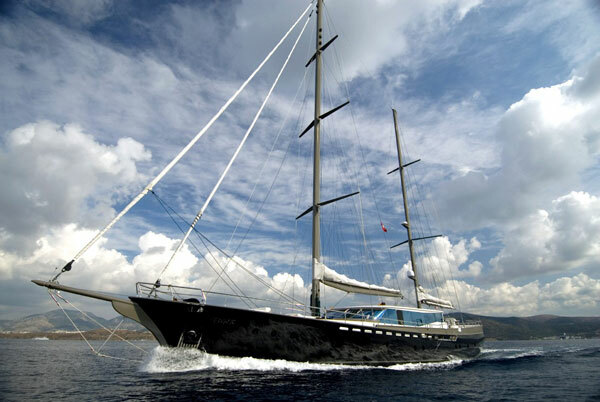 Tiger Cruising Sailboat – Superyachts News, Luxury Yachts, Charter & Yachts for Sale. Ken Freivokh Design styled Tiger boat provides accommodation for up to ten guests and five crew. Perfect for charter guests with young families the boat can be arranged into one single master stateroom or two independent suites. Elegance and unique personality reflects the characteristics of the Freivokh design and offers the comfort of a much larger yacht. The large and spacious interior is perfectly balanced by the vast exterior accommodation. The beautiful teak and mahogany aft deck includes a large twelve -person dining table and Bose sound system. Warmth, elegance and minimalism, requested by the owner in the initial brief, are reflected all throughout the interior and the extrerior. You can add more info (images, videos etc) of Tiger Cruising Sailboat below.